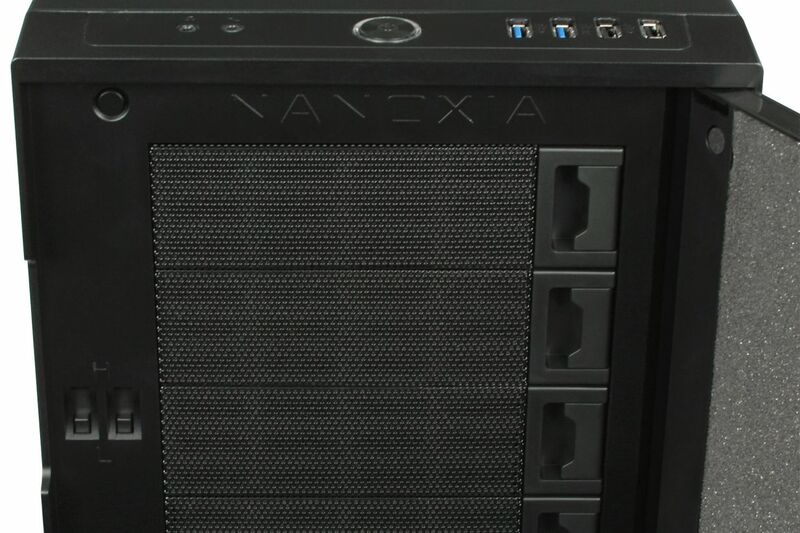 Nanoxia proudly present the Deep Silence 5, another big tower from the next generation of Silent PC cases. The huge Deep Silence 5 features ample space as well as fully modular HDD cages, allowing for the most extensive of gaming systems to be installed with extra-long graphics cards and high-end CPU coolers. Alternatively, compact water cooling systems can be accommodated without encountering any space problems in this Big Tower. The Deep Silence 5 (DS5) comes with two foam insulated front doors. Behind the upper door, the Deep Silence 5 offers four external 5.25" bays, a stepless 2-channel fan controller, as well as the reset button. 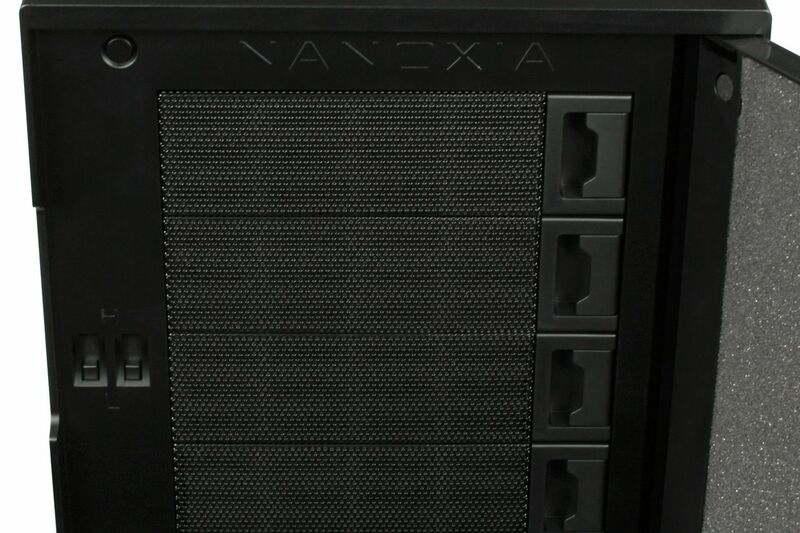 Behind the second door, two very quiet 140mm Nanoxia fans are preinstalled. By simply pressing the frame (it works using the push-pin principle) the flap can be opened allowing access to the dust filters and fans which can be removed and cleaned very easily. 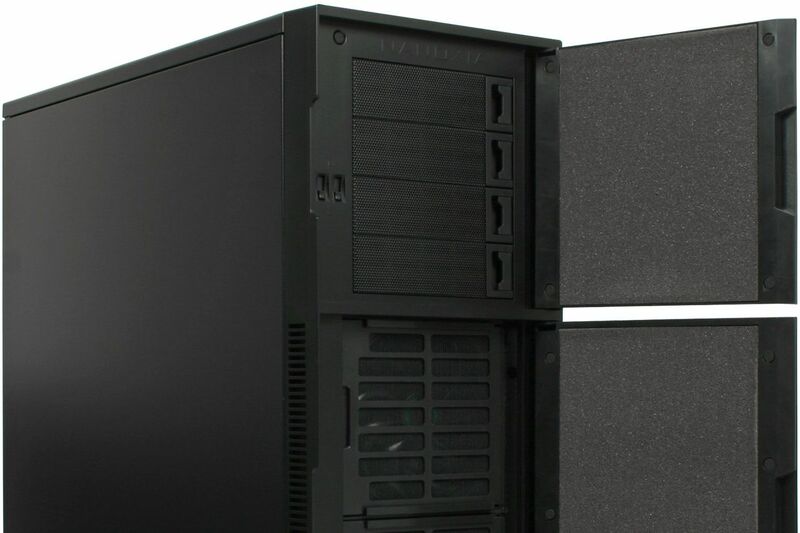 As with all Deep Silence cases, magnets in the doors provide fast closing and easy opening. The I/O-panel is located at the front part of the top cover. In addition to the green illuminated power button, you will find two USB 3.0 and two USB 2.0 ports as well as audio and mic ports. Appropriate hardware/software can be easily and quickly be installed. E-ATX or XL-ATX motherboards can be installed in the Deep Silence 5, as well as smaller form factors (ATX, M-ATX, Mini-ITX). 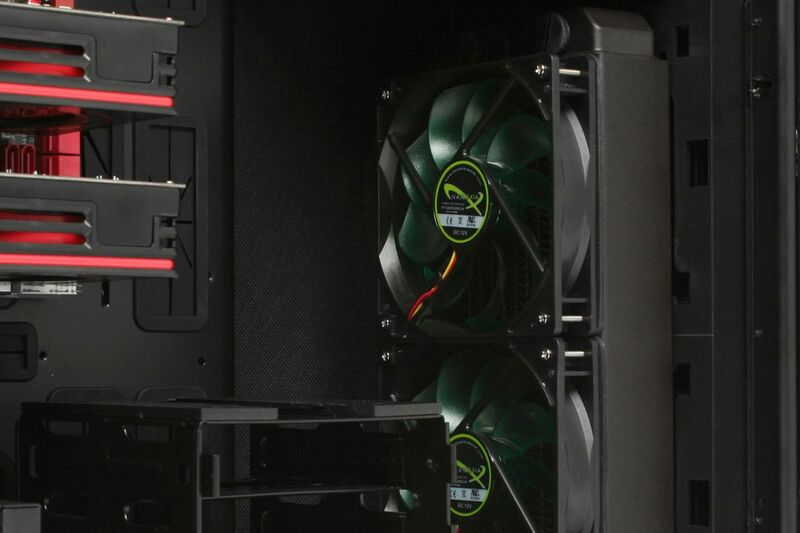 Thanks to the generous interior space, the Deep Silence 5 can be equipped with a CPU cooler with a maximum height of 185mm and graphic cards with a maximum length of 338mm when all HDD cages are used. By removing the top two hard disk drive cages, graphics cards 468mm in length can be accommodated. In the course of the many years of development work, the focus has always been on two preliminary requirements: minimise noise and minimise temperatures. Just like the other Deep Silence cases, the DS5 is fully soundproofed. The whole case is lined with noise absorbing materials. The sound insulation concept is designed to minimise noise from any installed hardware. Hard disk drives and the power supply are decoupled from the case by mounting them on anti-vibration pads. The case also features anti-vibration case feet. The DS5 is manufactured from 1.0mm thick steel. By using the highest quality materials, optimal noise insulation is ensured while providing a very sturdy case. 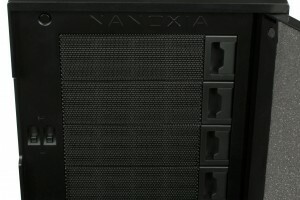 Like the Deep Silence 2, the Deep Silence 5 offers two Nanoxia VentCovers under the top cover. 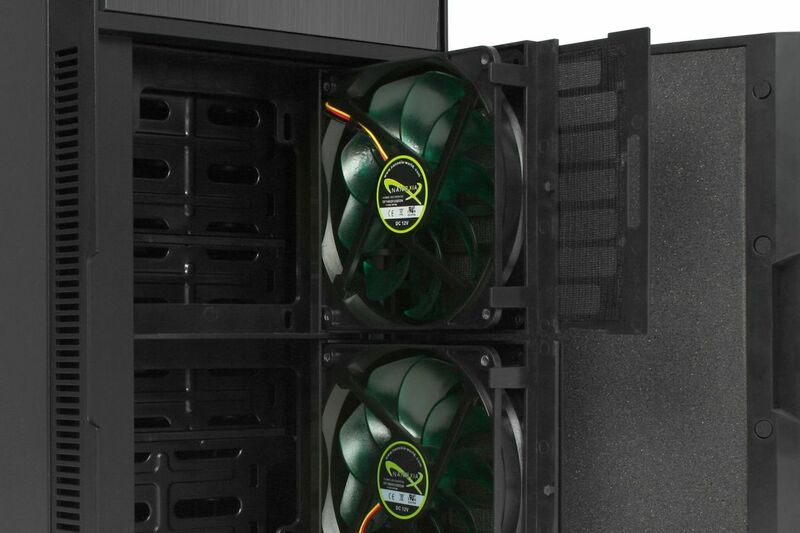 They close the vent holes for 120/140 mm fans and allow the user to choose between improved cooling system by installing additional case fans or optimum noise isolation. 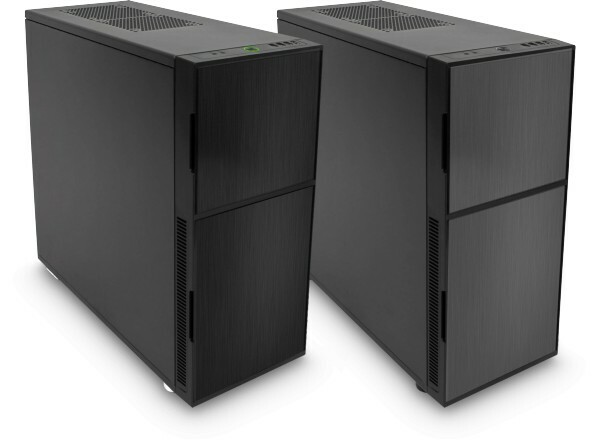 A total of three 140mm Deep Silence fans are pre-installed in the Deep Silence 5. Two of these are installed in special swivelling brackets which allow for simple removal of the fans and easy access to the included dust filters. The third fan is mounted at the back of the case. Rotating at roughly 1100 RPM, the fans generate an air flow of about 68.5 CFM and a static pressure of 1.08mm H2O at a noise level of 14.4 dB(A). 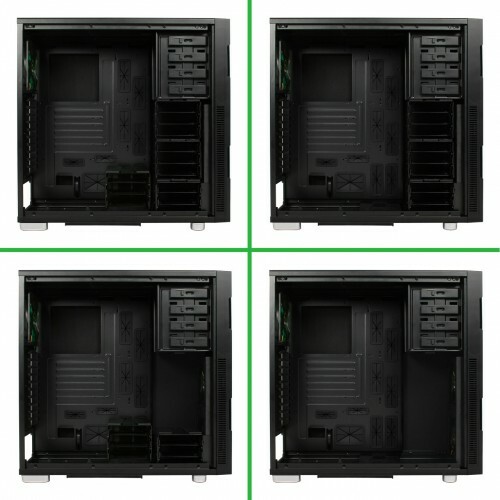 You can mount a total of six fans in the Deep Silence 5. Beside those mentioned above, you can install additional 120/140mm case fans under the top cover and on the case floor. Thanks to the standard stepless fan controller, up to six fans can be controlled, giving the flexibility between low system temperatures and low noise levels. Like all Deep Silence cases, the DS5 is of course "Watercooling ready". Thanks to the fully modular HDD cages, fitting compact water cooling solutions with 120/240mm radiators behind the front panel is not a problem. Also under the top cover it is possible to mount a compact water cooling system with a 120/140/240/280mm slim-radiator. 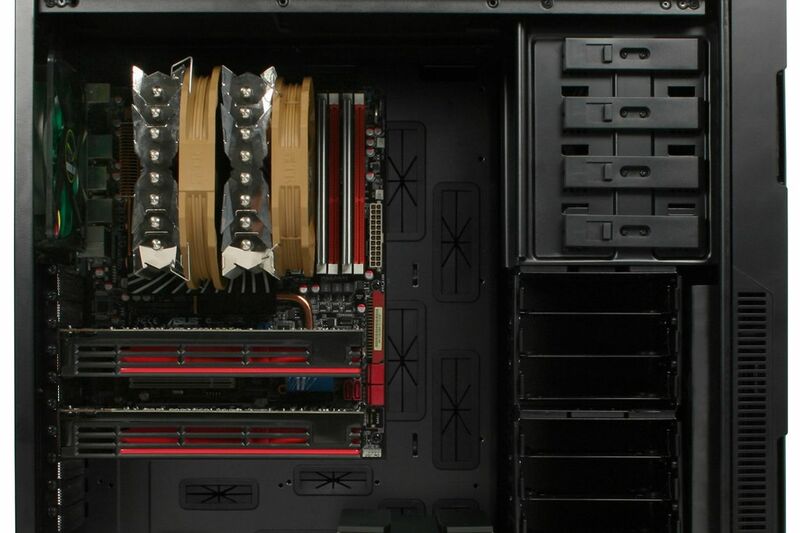 Four additional rubber hose guides for an external water cooling system can be found at the rear of the case. In order to mount up to eleven 2.5" or 3.5" hard disk drives, a total of four fully modular HDD cages are provided. 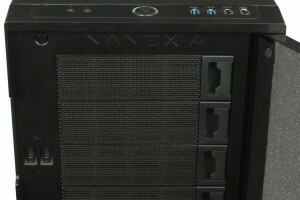 Three of these cages are designed for three HDD and the fourth holds up to two. In the interests of allowing as much personalisation as possible, the cages can be removed and combined as desired. The hard disk capacity of the Deep Silence 5 is also expandable through the acquisition of additional HDD cages. The hard drives are installed in special mounting carriages, which are designed to accommodate both 2.5" HDD / SSD as well as 3.5" HDD. Screws with rubber washers are used to hold the drives in place. Due to this unique variability, the installation of long graphic cards with a maximum length of up to 468mm is possible. 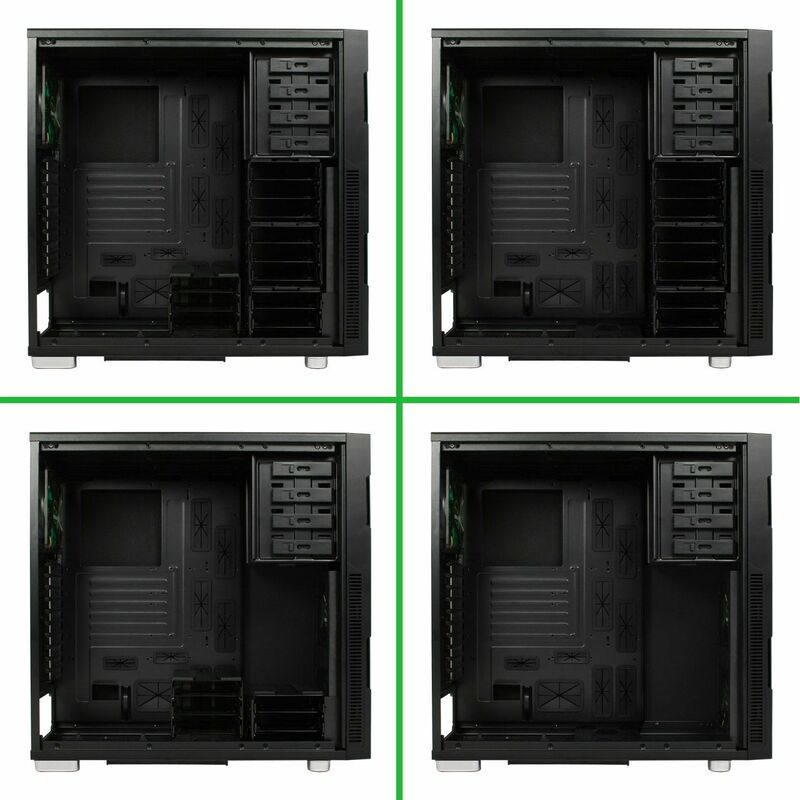 Even when removing the top two HDD-cages, the case still offers five mounting locations for data storage drives. The Big Tower offers a plethora of cable management options; the nine openings are equipped with rubber guards. In addition to high-end VGA-cards, all current CPU coolers can easily be accommodated in the case. At the rear side a total of ten PCI expansion slots can be found - the installation of a multi-GPU system is therefore possible without any difficulties.